Combining considerations of power, politics, and development, this special issue in Asian Survey Vol. 58, No. 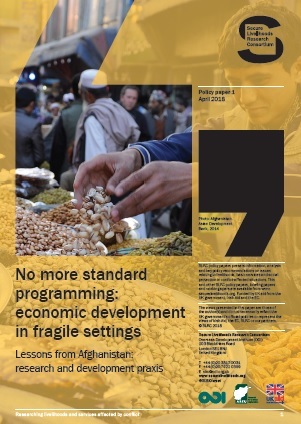 6 aims to examine struggles between various state and non-state development-oriented actors, the processes through which such conﬂicts are resolved, and the resulting impact on development policy and outcomes in Afghanistan. 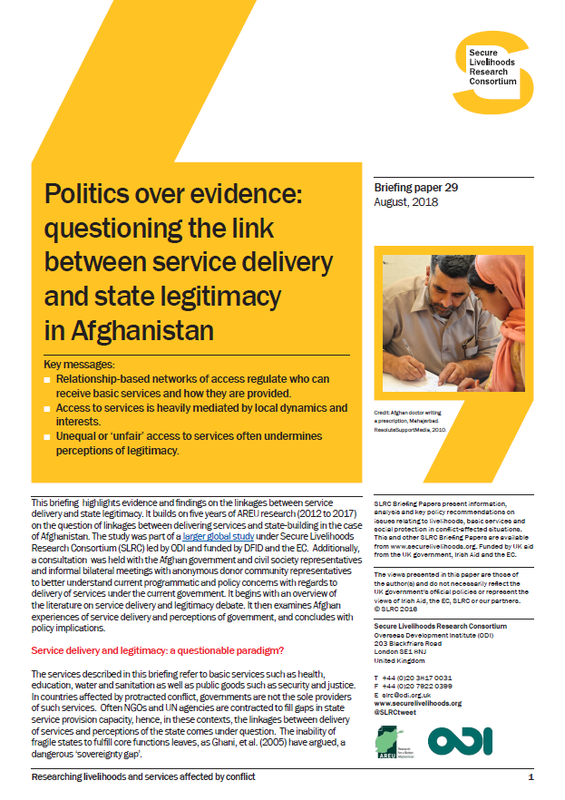 The special issue was originally conceived during a panel on power, politics, and development in Afghanistan, which took place at an International Studies Association conference in September 2016 at Oxford University. 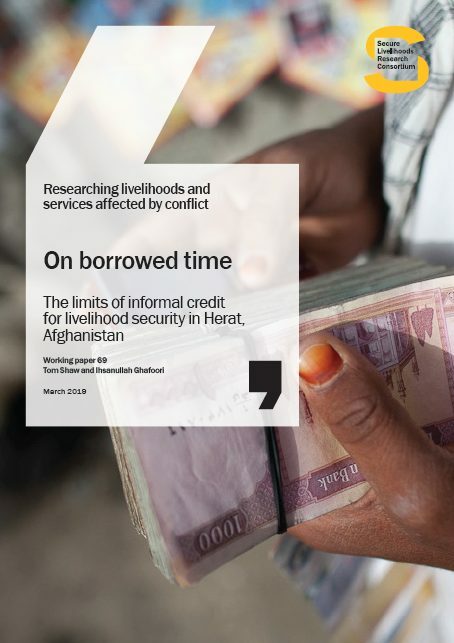 This paper explores the relation between the design of Afghanistan’s National Solidarity Program and implementation outcomes. It draws on a study of village contexts to understand the variability in the relations of responsibility and accountability that exist between customary village leadership, village elites, and village households. Findings on diverse processes of “bricolage” between the NSP intervention and customary practices highlight the politics of village life, which the technical assumptions of the NSP do not address. Agriculture has been seen as the engine of growth for Afghanistan, but it has failed to deliver. 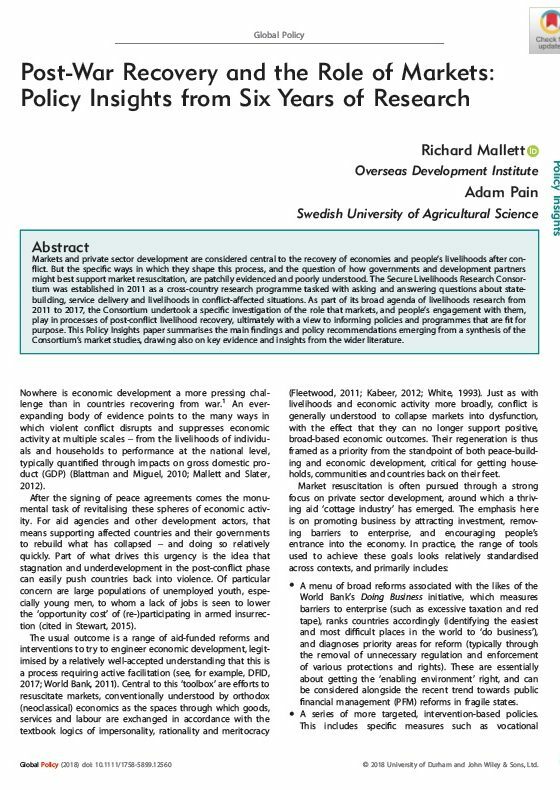 Evidence from a long-term livelihood study points to a rural economy that is driven more by social relations than by market relations. These are underpinned by major land inequality and a distributional economy concerned with survival, given the absence of rural employment. These articles, and all others in the special issue, are available from the University of California Press’ website here by pay to view. The editors of the special issue are Nematullah Bizhan, Matthew Willner-Reid and Jasmine Bhatia.